This Akifusa line uses powdered metallurgical steel, which is made in an effortful procedure that leads the steel to be very resistant and gives the edge of the knife a substantial higher lifespan. Due to its high class performance, it is one of the favorites of our customers. Core: SRS15 powder metal, hardened to HRC64-65. 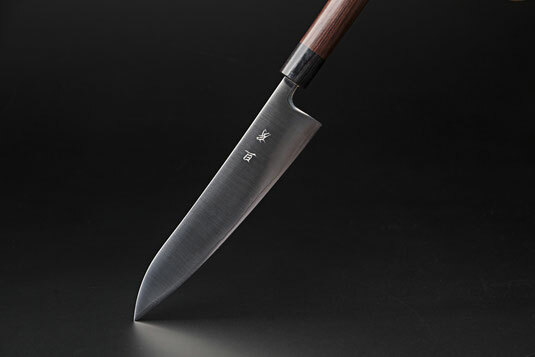 Handle: Made of fine Ebony wood, which is very dirt-resistant and robust. Pakka wood bolster.